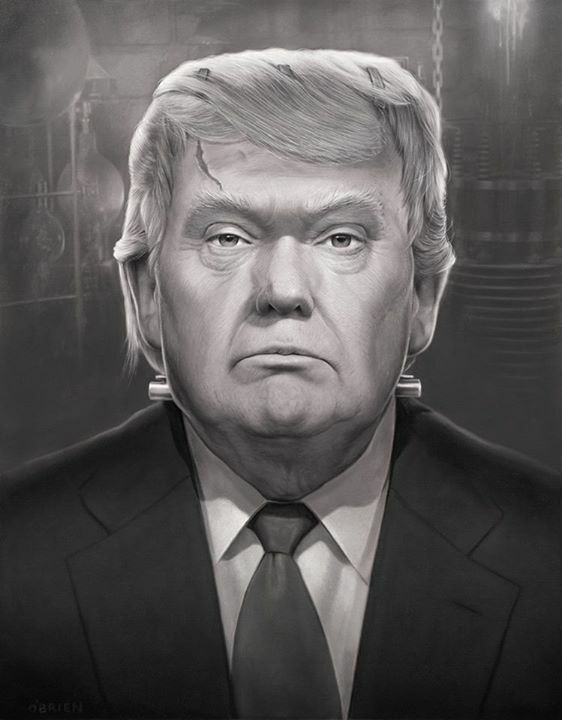 Tim O’Brien illustrated this Frankenstein Trump portrait commemorating “the monster created by Fox News, a reality TV loving America, and the stupid macho vision of wishing the US were a more belligerent nation.” And the hair. Stays. ON.